Heather, you genius you. Why haven’t I made protein ice cream before? Crush the ice and fruit then add the rest of the ingredients and blend ‘er up! Monica suggested making chocolate protein cheesecake ice cream and topping it with pecans for turtle cheesecake! Enjoy! What wacky ingredient to you add to your food all the time? There’s another chance to help Haiti! Click here to bid on some delicious baked goods for a great cause. Great idea for nutritional yeast! I’m slightly obsessed too! I use it in large quantities… it’s just so good. I can’t wait to try out a cheesecake ice cream recipe! Yuuuuu um. Another thing that I use in excess… adding it to almost everything (minus desserts) is miso. So “cheesey” and salty… hmmm… and tahini, which goes with ANYTHING out there. I LOVE tahini too- it’s one of my favorite foods ever. YOU’RE the genius. Got some kabocha in the oven right now. 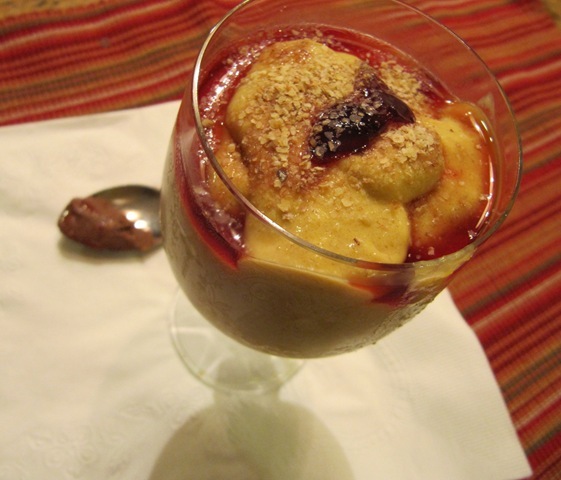 Will freeze half for this recipe as well as your frozen kabocha whip. I love you. Do you have a Vita? I don’t but I want to try making these recipes and hope they come out just as great! Ok, so I’ve definitely thought about adding nooch to my smoothies, but I’ve never actually done it before…You’re an adventurous soul! I’m totally going to try this in a chocolate smoothie. With some pecans on top? 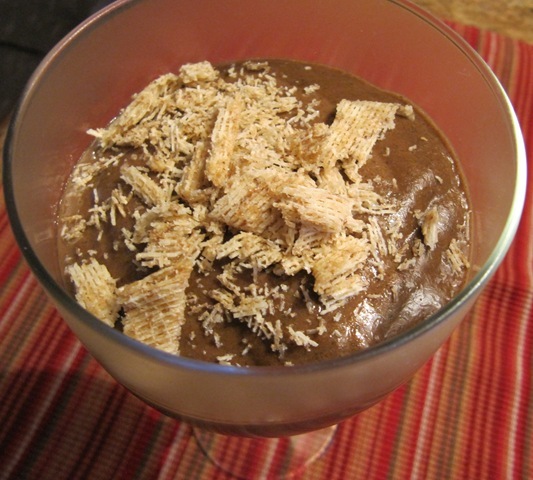 Chocolate Turtle Cheescake smoothie! Your protein ice creams looks so good!!! To sweet foods, I usually don’t add much, but I add pepper to most savory foods that I eat! P.S. The color of that blueberry variety is so beautiful! Craziness…Udis granola looks yum…love granola. Hi Mae — I love your blog! You might know me from RWOL. 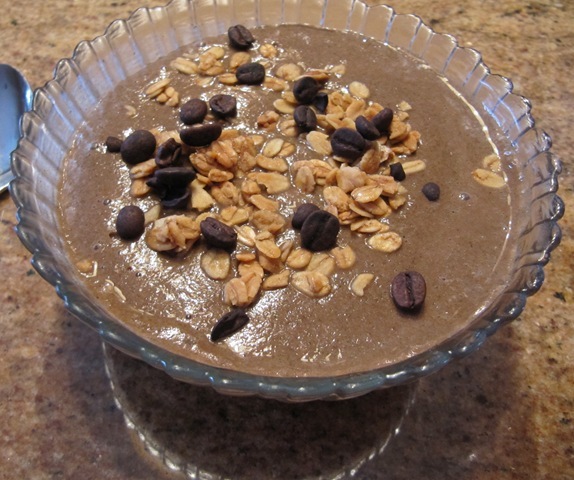 Something I add to a lot of things lately: carob powder! Oh goodness, your ice cream looks amazing!! I really need to buy some nutritional yeast – it sounds great. This is probably a dumb question, but what section would I find it in at the grocery store? Nooch goes good in everything. Do peanut butter with it and agave and pumpkin-omnomnom. Peanut butter and pumpkin make ALL things better! !! I’ve actually never had nutritional yeast or xanthen gum. I’ve been looking into protein powders and i’ve heard such good things about Jay Robb’s. I just hate it when it tastes all artificial and chalky.. yuk. I tend to add flax to everything. I love it! I’ve got to try that sometime! 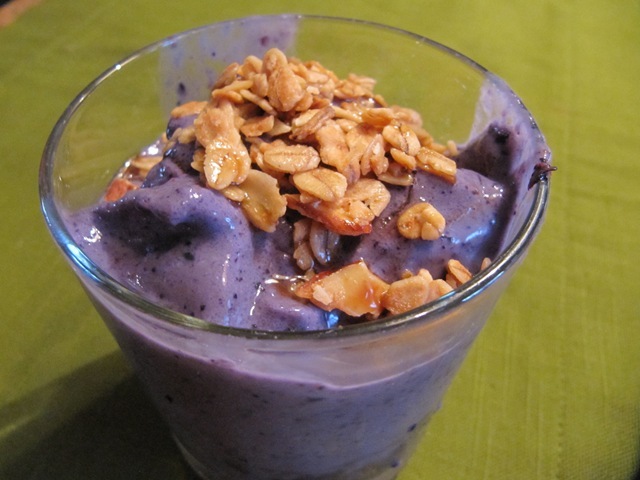 ooohh I just made the blueberry one- except with goat yogurt in there- so, so good, sweet and tangy! Ms. Mae – I have been scanning your blog and at more than one place I am seeing something about grass chocolate something. Please I must know more – where do I get this crazy grass chocolate from? and can I use it in more than just smoothies? I’ve tried 2 different versions in the last 12 hours.. I’m in love 🙂 Last night I did Kabocha (w/ 2 tsp PB) and for breakfast this morning it was Strawberry. I love your site, creativity, and positive attitude & energy! Look forward to learning more. Have a wonderful day! oooo…I am so excited! I have been dreaming up HEAB’s Protien Ice Creams Since I found the post last month and now to add squash. How Great I LOVE IT! Thanks for the fabu Ideas. And I agreee how had I not made Protien Ice Cream Before? Hahaha you’re awesome! Thank you!